Following a discussion in the office about Fourier Transforms we did a little searching on the web. As always, we discovered that the Internet is packed with some great resources on Fourier and his work. So rather than keep all of the information to ourselves we thought we should share it with our readers. We have whittled our list down to 10 links that we think represent the whole range of information from beginners guides to reference pages. So there should be something for everyone whether you’re a grizzled signal processing veteran or a student looking to learn something new. If you have your own favourite Fourier links then please add them to the comments. Maybe we could use them for a future blog post. Or if you have other comments please feel free to add them below. How could we start with anything other than a great article by Prosig Technical Director, Dr Colin Mercer? This article has been a favourite on our website ever since it was first published in 2003. This is a very practical introduction to Fourier transforms and their uses in signal processing. A fantastic article by Bartosz Milewski, of Reliable Software, that deals with Fourier Transforms and many related areas of science, engineering and mathematics. Plenty of practical examples, illustrations and graphs. Another great introduction to Fourier Transforms. Uses practical examples and specifically looks at the Optical Fourier Transform. Uses an interesting scheme involving a 2-D colour space to transform images. Amplitude is represented by colour saturation and brightness, while phase is given by hue. This is a useful visual way of illustrating features of the Fourier Transform. No list could consider itself complete without the ubiquitous Wikipedia page! This is a comprehensive reference on all aspects of the Fourier. Probably not a good place to start learning about Fourier Transforms, but plenty of mathematics for the more advanced practitioner. A look at how the 2D Fourier transform can be applied to images. Has some really great pictures that show how changes to an image are reflected in the resulting Fourier Transform. Deals with rotation, edge effects, transforms and filtering. Here’s something a bit different. This link will take you to a whole series on Fourier Transforms by Professor Brad Osgood of Stanford University. There are 30 lectures of 50 to 60 minutes each so you’ll need to be pretty dedicated to watch them all. But if you are a complete beginner or are looking to learn lots of new stuff then give them a go. This is chapter 10 of an entire book on Digital Signal Processing. The book is available to read online and download as PDF or you can order the full hardcover version from the website. This a really useful resource that should be in the bookmark list of anyone who works in signal processing. Another reference page, so plenty of Greek characters for the mathematicians! There are also some links to some live demonstrations of Fourier techniques in action. This is the final chapter from a book called “Trigonometric Delights” by Eli Maor. Again the entire book is available online from here. The Fourier chapter has a good concise description of the theorem and also discusses a little of Fourier’s life and background. PLEASE, I NEED HELP REGARDING HOW I CAN RECONSTRUCT A SIGNAL FROM THE DATA RECEIVED FROM SENSORS.I GENERATED A SIGNAL WHICH PROPAGATES ALONG A PIPE AND IT IS RECEIVED AT THREE DIFFERENT SENSOR LOCATIONS. I NOW WANT TO RECONSTRUCT THE ORIGINAL SIGNAL BASED ON THE DATA I GET FROM EACH INDIVIDUAL SENSORS. I HAVE CARRIED OUT A FOURIER TRANSFORM OF THE RECIEVED SIGNALS AT THE SENSORS. 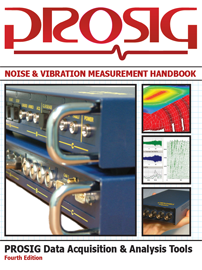 Prosig web site has been improved greatly,I highly appreciate it & thanks for it.I subscribe from around 2004, learned some finer points of DSP from Dr.Colin Mercer’s articles & it was very helpful.Now those who in the industry it is rich in applications of DSP in addition to the product info. Oluwafemi – I have asked one of our signal processing experts about this. And he tells me that it might be possible depending on how far apart the sensors are and if the corresponding signals are reasonably coherent in the sense that, for any individual spectral component, the magnitudes and phases show a clear trend in behaviour with increasing distance from the source. I hope this helps you with your application. Susil – Thank you for your comments. We are pleased that you find our blog articles useful. We are always pleased when visitors to the blog take the time to leave a comment or ask questions. Chris thank you for sharing links for Fourier Transform. Brad Osgood Classes are really wonderfull. Anyone know of links to sound installations that use FFT?